If you want to make at least $56,000 in annual salary for your first job out of college, check out these colleges with high-earning grads. Students at Harvey Mudd get the benefits of a small liberal arts college while also having access to all the resources of the other four Claremont colleges. Take a look at these eight colleges, whose alum are known for having large salaries. Education at the United States Military Academy isn’t all about military-oriented skills – academics play a large roll, too. The school is ranked one of the best in the Northeast by the Princeton Review, who also placed it on their Most Accessible Professors and Best Colleges Libraries lists. West Point grads are required to serve in the military for five years after graduation, but they see big bucks afterwards – those who don’t choose to continue serving often become doctors, CEOs and civil engineers. Princeton Review ranked Harvey Mudd College fifth on their list of schools where students study the most, and it looks like their hard work is paying off – graduates from this school earn the most of any in the country. It’s not really a mystery how they manage this, either – the highly selective school specializes in science, math and engineering, all majors that garner high salaries according to Payscale. California Institute of Technology is known for having one of the best science programs in the country – it ranked number one on Princeton Review’s list of schools with the best lab facilities – and most of its alumni go on to pursue grad degrees in physics, biology and chemistry. Those who enter the job market right away score positions at companies that recruit on campus like GE, Yahoo or Goldman Sachs. 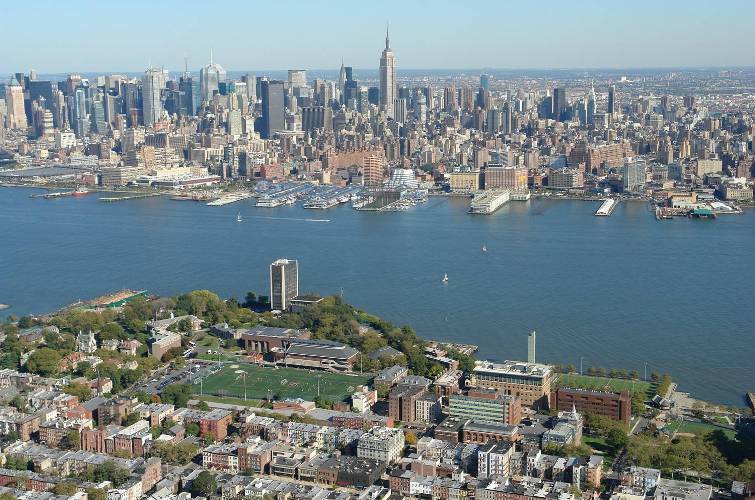 Students at the Hoboken, NJ-based Stevens Institute of Technology receive a research-heavy education in engineering, physics and other sciences. These programs have proved to be heavy on the return, too, landing grads in third place when it comes to high earnings. The school is especially known for sending students off to medical school – an impressive 90 percent of Stevens students who apply to med school gain admission. Students at Stevens Institute of Technology have top science programs and a killer view of NYC. Stanford University’s location in the tech-heavy Silicon Valley is a godsend for math and science majors, many of whom get offered lucrative positions as computer scientists, software designers and engineers at nearby firms. The school’s widely respected name and extensive Cardinal Recruiting program mean that even those who major in the humanities have a solid shot at gaining high-paying employment. This private business school means, well, business – their program heavily emphasizes management and entrepreneurship (Princeton Review named their entrepreneurship program the best in the country), and many Babson College graduates have gone on to start their own successful (read: lucrative) companies like Home Depot and Accenture. As if the prestigious liberal arts and research programs at Princeton University needed any more cred to bolster this institution’s good name, hugely successful graduates include Amazon’s Jeff Bezos, Google’s Eric Schmidt, and first lady Michelle Obama. We highly doubt any of these people are surviving off of peanut butter sandwiches and ramen noodles – just saying.